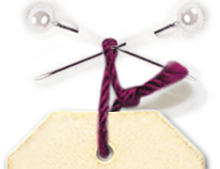 designed to make composition, size, or brand labels to sew for clothing. 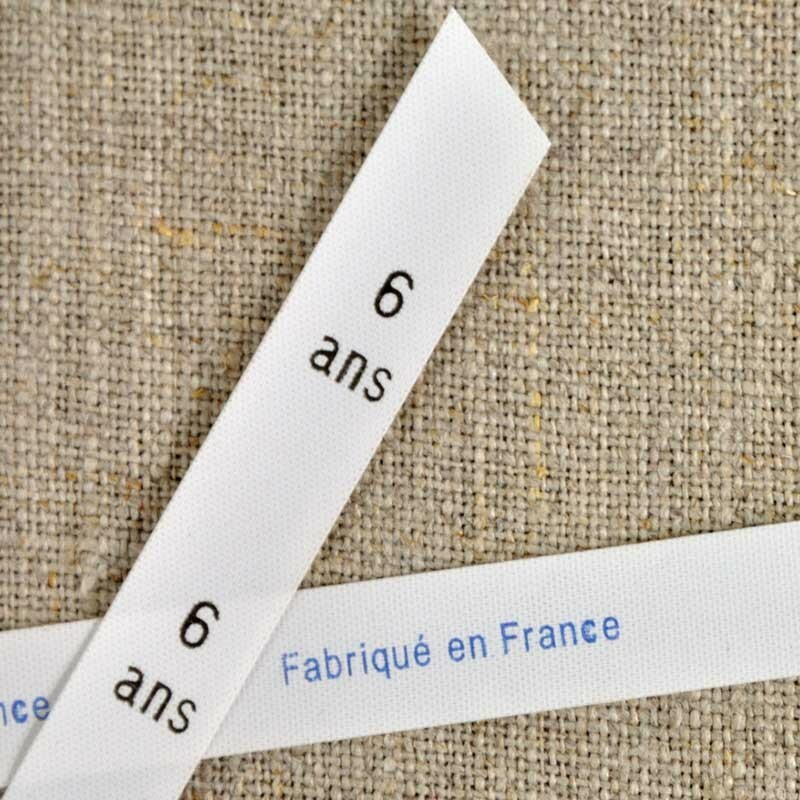 Their availability in small quantities ( from 50) makes them very suitable for small young designers on a budget collections. Printed on fine white polyester taffeta, they are nevertheless robust and resistant to washing. 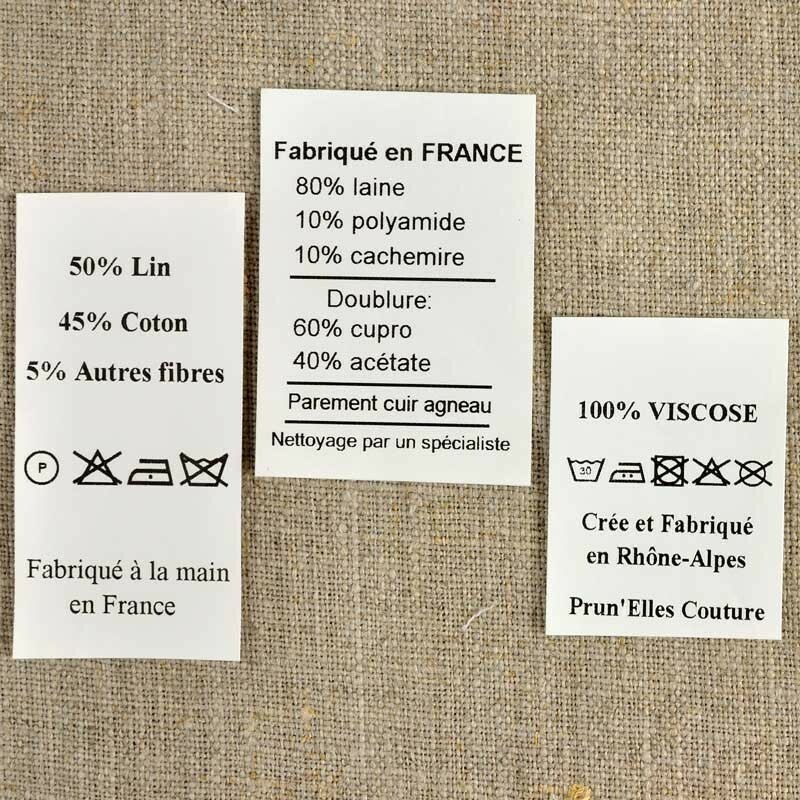 Sold in predefined packs of labels, supplied cut or in continuous roll, these labels are made in France. When these first choices are made in this order, other options appear. 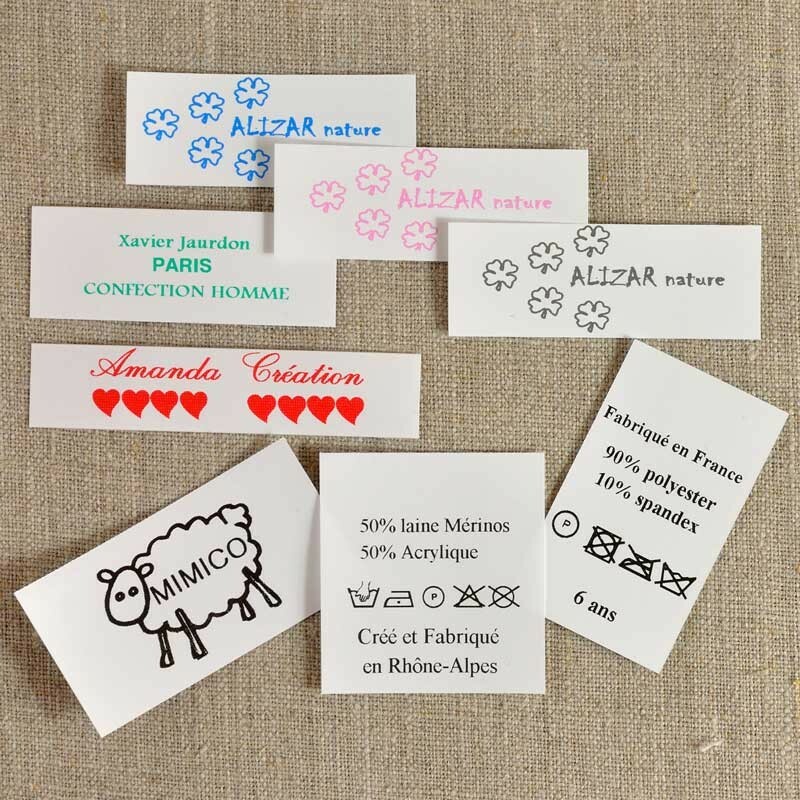 Labels supplied cut or in continuous roll. Available quantities: 50, 100, 200, 300, 500, 1000, 2000, 3000, 5000.